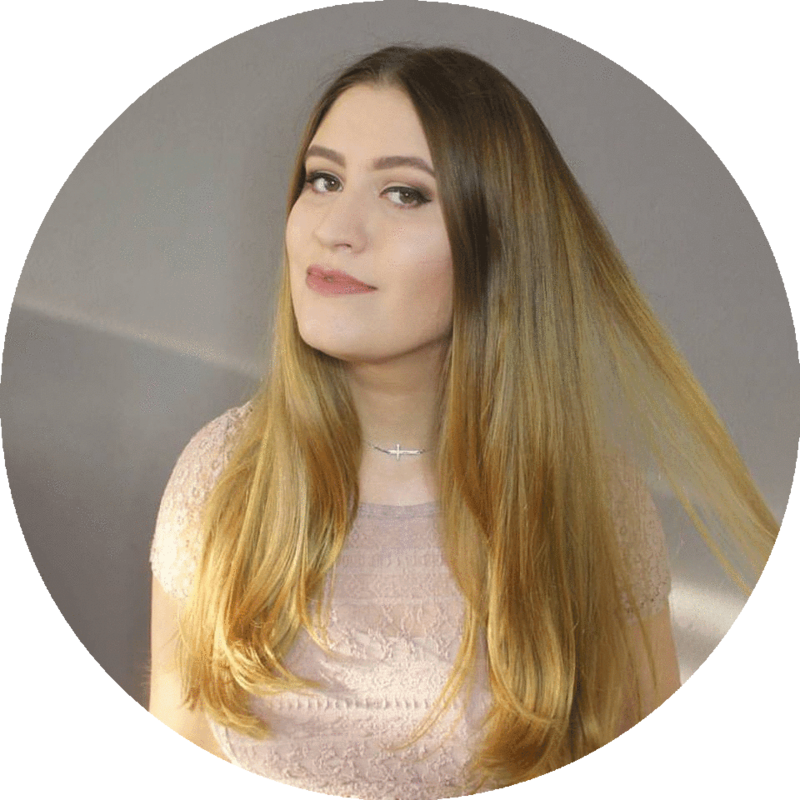 Julia's Fashion Minute: The perfect daily face/facial routine for super sensitive and acne skin. The perfect daily face/facial routine for super sensitive and acne skin. today I'm going to finally share my daily facial routine. I have been using this method for almost a year, in September it will be a year. & I think I'm ready to share it with fellow people with sensitive skin who have a lot, a lot, of acne. These are the products I swear and life by, my real life savers! Until I found these products! You may have heard me talk about these products before but they are the best. I went from a face full acne and acne scaring to an almost acne-less skin. Some of you can probably tell from my videos or photos how much my skin has changed. I mean I film half the videos without any foundation on, that's something I never dared to do. Good enough talk about how much these products changed my life, up to the actually product talk! I show the products in the order I use them, the first three are when I step in the shower and the last two are after the shower or when I don't take a shower. The first product I use is the Visibly clear pink grapefruit Facial wash, helps eliminate spots and blackheads, by Neutrogena. This one is an old friend of mine, I wrote a whole blog post about this little angle, click here to read it. It's really hard to get my hands on this baby. But every time I do bump into it I just buy it without any hesitation, yes it's that good! 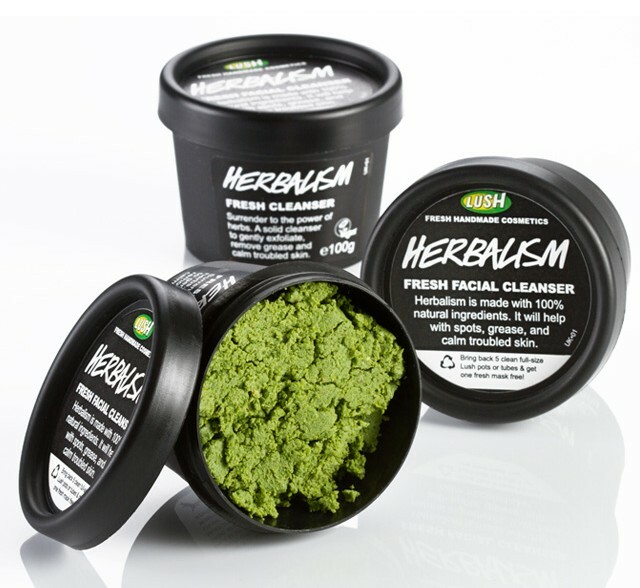 The second product I use is the Herbalism Fresh facial cleanser. I use this one as a scrub, it smells soo nice and it really scrubs away the dirt. A solid cleanser to gently exfoliate, remove grease and calm troubled skin. We have to plan ahead when making Herbalism, because we start the product by steeping nettle and rosemary herbs in rice vinegar for 48 hours. When the herbs have given up their goodness into the vinegar, we filter them away and use the vinegar to mix with the other ingredients. Herbalism is made with 100 percent natural ingredients. It will help with spots, grease, and calm troubled skin." I can totally agree, the few oil spots I sometimes have on my skin disappear as snow for the sun every time I use this product. My skin is also more in balance, but that may also be the effect of the following products. The third product I use is the Fresh Farmacy cleanser. This beauty is also a lush product. I got this product on advice from some Lushies who also had a lot of skin trouble, there skin looked pretty good so I was like why not give it a go. After one use I was like yes! This is it! They told me 100 washes, but I think I got a lot more already and I still have half of the soap left. I do think that the should sell it in a soap bar box or something, because this soap isn't save in a steamy bathroom with not really clean house mate(s). Want to avoid the pharmacy? Then try Fresh Farmacy first. This is like a calamine lotion, but in bar form. 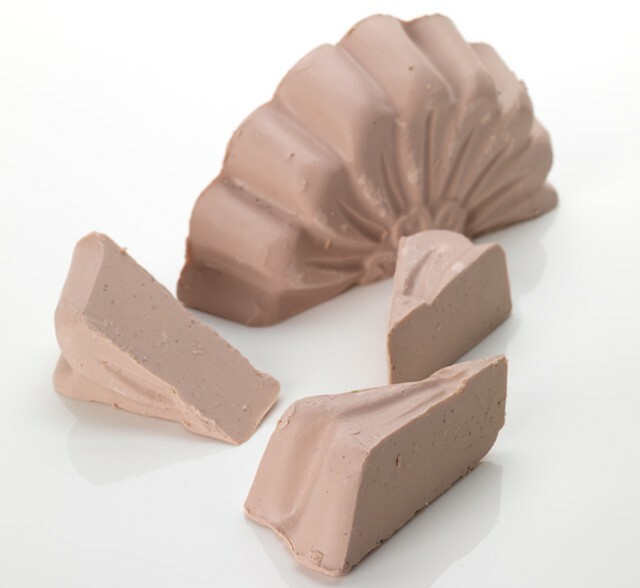 To make this soap gentle enough for use on the face, we cut down the amount of soap in it and replace it with other ingredients to help the skin. This makes a mild soap that is great for both face and body. First we start by making a chamomile and marigold infusion, for its skin cooling and calming properties, then we add pink calamine powder to create a thick clay." I may got more than 100 washes out of this soap because I only use it for my face, I use snow fairy for my body. I do have to add that my face feels a little tight after using this but that's no problem thanks to the following two products. The fourth product I use after a shower or when I just want to clean my face. 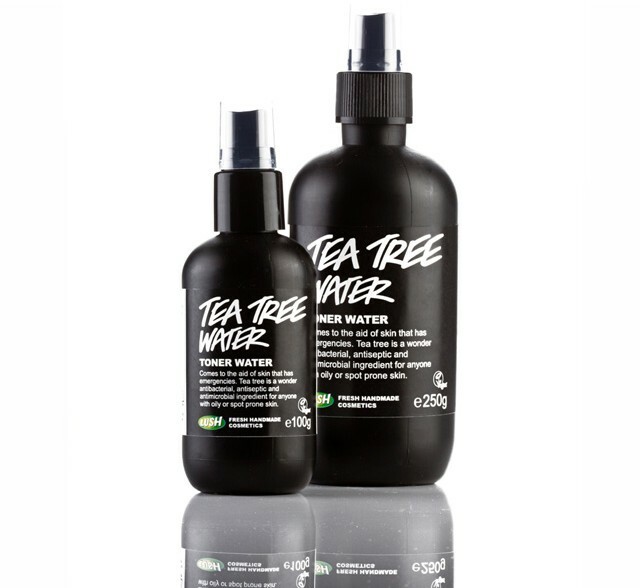 The Tea tree water toner, I own the bigger bottle. I actually think that I used a sample of this one way back in the day, when Lush just started. Don't know why it took me so long to rebuy it though. This is just a really fresh and nice toner that really takes away all the dirt from your face. The first few times your using this product you're going to be shocked by the amount of dirt that come off your skin. Tea tree is a wonder oil for anyone with oily or spot prone skin. It has antibacterial, antiseptic and antimicrobal properties. Where the skin needs balancing, where there are spots, gentle tea tree is just the job. Also contains grapefruit water and juniperberry water to refresh and tone the skin. Our toner water range is an attempt to deliver good quality essential oils to your face in the correct concentration. They are not just toners, but are aromatherapy in dilution, ready to be used at a moment's notice. They can be used for removing traces of cleansers and face products – but can also be used at any time of the day as a quick facial refresher or to cool the skin." The fifth and last product I use in my daily facial routine is the Vanish cream, also by Lush. This one is my HOLY GRALE! I have been using this one for over three years now and it's just wonderful. It's the best moisturiser for sensitive or oil or combination skin because it's the kind of moisturiser that's gets absorbed by the skin super fast. It also smells really nice and relaxing. This moisturiser also helps balancing out the skin. I can actually tell that my skin looks healthier and gloomier after using the moisturiser. This is a moisturiser for those who want a cream that doesn’t sit on the skin for ages. This cream vanishes completely, leaving nothing behind except beautifully soft skin. This finely balanced formula gives us a cream that is light in texture and low in fat, that when put on will sink in and vanish, but will leave the skin feeling soft and conditioned. Ideal for use any time when you don’t want your face feeling heavy with oils. Works well under make up, for morning use, or for a quick refresher throughout the day. Wonderful on oily skin or on T-zones. Essential oils of lavender, rose and geranium will help balance the skin as well as give a light pretty fragrance. Troubled, oily, or spotty skin needs careful cleaning and gentle moisturising. This cocoa butter free formula allows you to put back vital moisture, without overloading the skin or causing it to over-react." && of course I totally agree. These are the products that I have been using and that help me to achieve to have an almost spotless and beautiful soft skin. For those who are like: yeah but Lush is expensive this isn't for everyone, keep in mind I'm a student. I just save up some money here and there to buy these products. Also it's probably a lot cheaper than those products you have to rebuy every month. 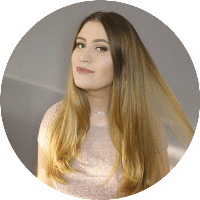 It isn't necessary to repurchase these products that often because you can get a lot for a long time out of these Lush products. So give them a go and let me know if you have ever tried them or if you're planning on trying them!